To ensure that the project is moving forward, beneficiaries are implementing the required controls per schedule and objectives are fully met, the LEAP Indonesia implementers Asia Society for Social Improvement and Sustainable Transformation (ASSIST) and PT TUV NORD Indonesia held a review forum last June 26 and 28 in Jakarta’s Hotel IBIS and Medan’s Hotel Aryaduta, respectively. LEAP Indonesia or Leapfrog towards Efficiency And Progress through Low Carbon Economy Indonesia is a Public-Private Partnership (PPP) project designed to help the businesses from five sectors (Cement, Iron and Steel, Textile, Power Plant and Palm Oil) 1) reduce their Green House Gas emissions, 2) become more energy-efficient and 3) contribute to the national plans of the government towards low-carbon economy. Led by ASSIST Partnerships and Network Management Director Kamesh Ganeson, TUV Nord Jakarta‘s Eva Pitterling and TUV Nord Medan‘s Ellys Simamora, the review forum covered the project activities since the initial Training of Trainers session in April. The participants, which included ASSIST local consultants Tommy Julius, Sahrial Hakim and Harris Salleh engaged in an assessment using the 5D (Discover, Define, Document, Deploy and Determine) cycle. Among the factors evaluated were the provision of management support, training and propagation of the ISO 50001 (Energy Management System). Further, the event served as a venue for providing technical support for the initial Energy Review and Base-lining that the beneficiary companies were supposed to do. For instance, company representatives needed to understand the process of energy audit, leading them how to track electricity wastage. The Project Team also revisited the commitments of the company beneficiary with respect to reducing their energy consumption and improving energy performance especially under the ISO 50001. Based on the review findings, the project team discussed the next steps to take, as well as the measures needed to be in place to ensure smooth project flow. The LEAP Indonesia initiative is co-financed by PT TUV NORD Indonesia and German development bank DEG. ASSIST offers technical expertise, training and technical assistance to local companies for this project. It is in line with the Indonesian government‘s mandate that Critical National Infrastructures supporting the electricity generation and distribution reduce the carbon dioxide footprint of energy generation using fossil fuel. Asia Society for Social Improvement and Sustainable Transformation (ASSIST) energy efficiency initiative Leapfrog towards Efficiency And Progress through Low Carbon Economy Indonesia (LEAP) held Train-the-Trainer Workshops last March 26 to 30, 2012 Hotel Ibis Slipi in Jakarta Indonesia. Benchmarked on international standards and best practices such as ISO 50001, the training aims to build capacity of energy professionals in Indonesia by creating a pool of local trainers on energy management systems. Among the topics covered are carbon footprint calculation, GHG inventory, and energy management systems. LEAP Indonesia is a Public-Private Partnership (PPP) project designed to help the businesses from five sectors (Cement, Iron and Steel, Textile, Power Plant and Palm Oil) 1) reduce their Green House Gas emissions, 2) become more energy-efficient and 3) contribute to the national plans of the government towards low-carbon economy. The initiative is co-financed by PT TUV NORD Indonesia and German development bank DEG. ASSIST offers technical expertise, training and technical assistance to local companies for this project. Another batch of training is currently being held in Medan, set at April 9 to 13. The workshop was facilitated by ASSIST Partnerships and Network Management Director Kamesh Ganeson and Triyono Adiputra. Ganeson is a sought-after expert on Enterprise Risk Management, Energy Management Systems, Six Sigma Implementation, Business Continuity Management, Strategic Business Planning, Balanced Scorecard Implementation, Innovative Problem Solving and Decision Making (TRIZ, Theory of Constraints, 8D, K-T), Business Process Re-engineering, Value Analysis & Engineering, and Complaints Management. Meanwhile, Mr. Adiputra is a lead consultant for several Clean Development Mechanism (CDM) projects in Indonesia, and has a master’s degree in Environmental Management. Participants include representatives of pilot companies from cement, iron and steel, and power industries: Holcim, Merpati Balap Sakti, Indonesia Power Gunung Salak, Siemens Indonesia, Indonesia Power (Suralaya), Jawa Power, Indo Raya Kimia. Asia Society for Social Improvement and Sustainable Transformation (ASSIST) and PT TUV NORD Indonesia conducted multistakeholder dialogues in Jakarta and Medan, Indonesia last January 19 and 26, 2012 for the initiative Leapfrog towards Efficiency And Progress through Low Carbon Economy Indonesia (LEAP). 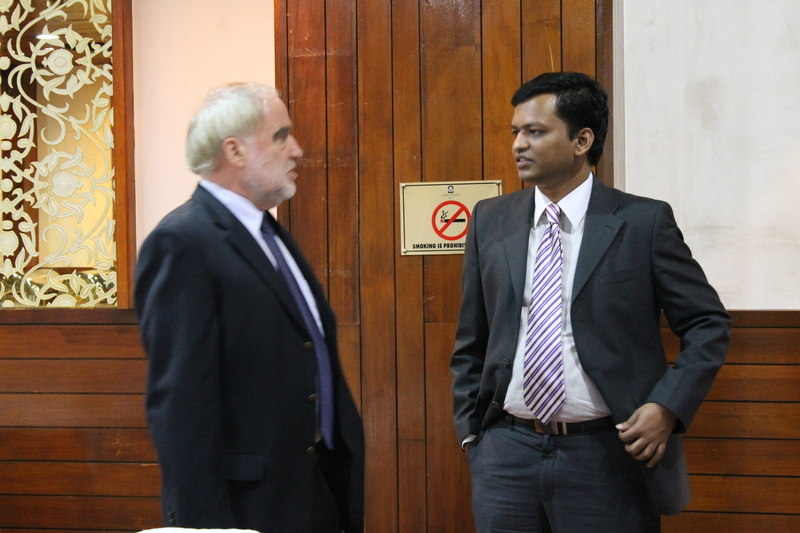 Through the activity, the project implementers sought to: 1. Strengthen commitment to work together to achieve the goals and objectives of the project; 2. Provide an opportunity for accessing expertise and experience on how best to carry out the capacity-building phase of the project; 3. Generate inputs on the proposed training outline and topics to be covered; 4. Determine optimum strategies for recruiting training participants that will be developed as local trainers; 5. Identify complementarities and synergies with existing efforts and initiatives from government and other stakeholders. Asia Society for Social Improvement and Sustainable Transformation (ASSIST) and TUV NORD kicked off the Leapfrog towards Efficiency And Progress through Low Carbon Economy Indonesia (LEAP) last November 7, 9 and 11 in Surabaya, Jakarta and Medan, respectively. 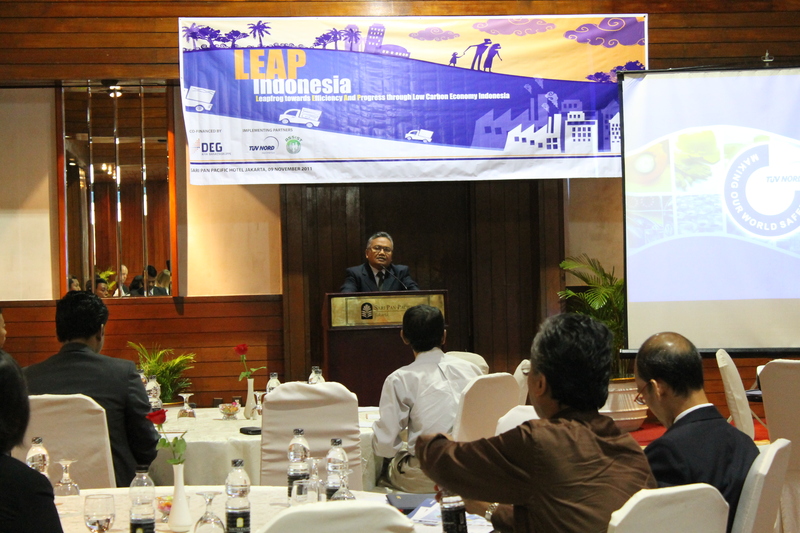 LEAP Indonesia is a Public-Private Partnership initiative designed to help the businesses from five sectors (Cement, Iron and Steel, Textile, Power Plant and Palm Oil) 1) reduce their Green House Gas emissions, 2) become more energy-efficient and 3) contribute to the national plans of the government towards low-carbon economy. In particular, the project supports the Indonesian Government’s commitment to reduce 26% of the greenhouse gas (GHG) emissions by 2020. TÜV NORD Indonesia President Director Robert Napitupulu welcomed the participants, while ASSIST Projects and Grants Management Director Sathappan Sathappan provided a project overview. For his part, Mr. Gunardi of the Ministry of Environment discussed the country’s effort at reducing Indonesia’s carbon footprint. The launch sessions generated interest among the local companies to adopt energy management systems benchmarking ISO 50001, towards reducing their GHG emissions and contribute to the switch towards a low-carbon economy. Representatives of local and multinational companies, as well as universities and local chambers (EKONID, KADIN, and PAKLIM), attended the event. The local chambers and universities will be helping build the local capacity in the field of energy. Multi-stakeholder sessions will be held in the coming months to create a roadmap for the LEAP program which will be followed by technical training sessions early next year. 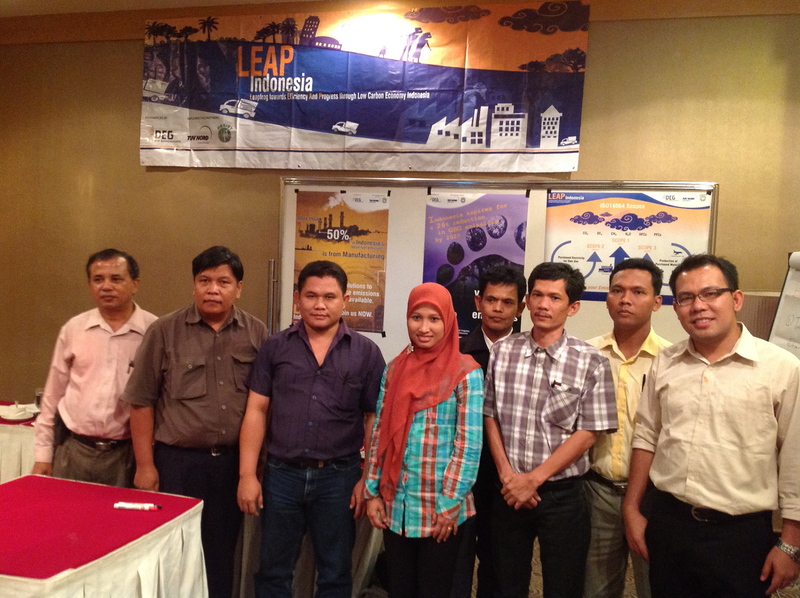 LEAP is co-financed by PT TUV NORD Indonesia and German development bank DEG. ASSIST will play the role of a lead implementation partner by providing technical expertise, training and technical assistance to local companies.